I'm back from an excellent and all too brief 14 days in Indonesia. 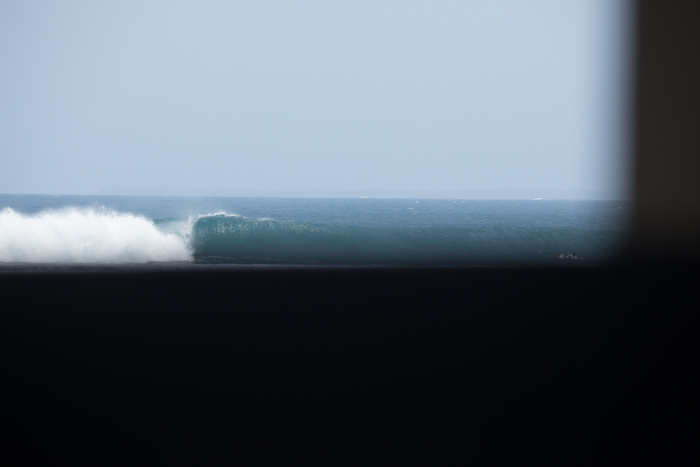 So this week's post is a travelogue that could inspire you to booking that surf trip. It isn't as expensive as you may think. There were 5 of us and our surfing experience ranged from only 18 months to 40 years. There are pros and cons in travelling in a group, the obvious pros being costs spread and great times shared. Out of the 14 days there were 10 days of surfing. 4 days were lost to travelling, because we went to South Sumatra. For me, all up the 14 days only cost $2,700. Air New Zealand return economy flights $1214.00. We got a pretty good special, but I had to add another bag for camera gear. It's an 8 hour flight so we all opted into the 'works' which means a couple of meals. Air NZ now offer direct flights to Bali. In 1991 the same return flight was $900.00 return. We had a night in Bali before getting our internal flights to Sumatra. We choose to stay close to Denpasar Airport in Uban and in very nice suites, which cost $44 inc breakfast. The internal flights with Sriwijaya Air were $150.00 return. This was Bali to Jakarta Java, Jakarta to Bandar Lampung Sumatra. Our luggage was checked through from Bali to Bandar Lumpung and we paid an extra $50.00 [10 each] for excess baggage. The first flight was 1.40 hours, the second flight 40 minutes. At Bandar Lampung we were picked up by two vans provided by Damai Bungalows, which is where we stayed for 9 nights. The vans were newish and comfortable, but the drive from Bandar Lampung to Ujung Bocur in the Krui region is 5-6 hours. Without doubt this is the most unpleasant part of the travels. Damai cost $600.00 for the 9 nights. 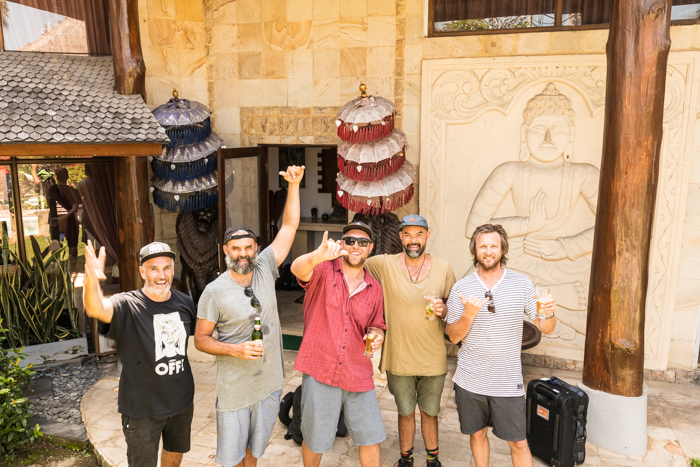 This included the return transfers, twin shared rooms, three meals a day and surf guide legend Dedi. Damai is owned and run by a classic Novacastrian Aussie ex-pat Jas. It's small, there are 6 simple losemans, the food, staff and service is excellent. Damai is at the top end of Ujung Bocur, near the paddle out keyhole. As you can see from the images the communal area is totally orientated to the view of the Point. We hired scooters with surfboard racks for 8 days at $6.50 per day. The only other costs were drinks [tea and coffee is free] . I was going through 2-3 litres of water a day, plus a mixed juice or two per day. So my bar bill came to a staggering $28.00. Hayden was at the other end of the spectrum racking up a $180.00 bar bill.... that's for 8 days! The main reason we opted for Krui is that there are a lot of set ups. We didn't surf every wave there is, and there's a bunch of set ups that work in the rainy season as well. But here's my take of the sets ups we experienced. ﻿The left hand point break out in front. It is incredibly consistent. Breaking through all tides and handling most swings of wind. The Point is often compared to Raglan, and I reckon that's fair, sort of a hybrid of Indys and Manu. While it does provide the odd barrelling section, it's more a fast wall that provides lots of sections to hit. It's a long wave that can offer rides well over 200 metres. It is the go to, and most of the accommodation is scattered down the Point so it does get crowded. The key phrase here is INCREDABLY CONSISTENT. At 6-8 foot the wave tends to push wide of the point. Yeah Calfy, who is number 1! Way Jambu is a 20 minute scooter trip to the south. As the name suggests it's not for the timid. On the right direction swell Way Jambu will handle any size thrown at it. Last year Lynden Kennings tackled it at what the locals are now calling 15 foot. At over 8 foot there is a [sort of] roll in take off before the wave hits the Pipe section. It's a heavy, heavy wave with a slabbing barrel. It breaks from about 3 foot up. 8 foot Pipe, trust me, it is 8 foot! Yeah yeah there were waves at Mandiri, but how rad is this old Honda! 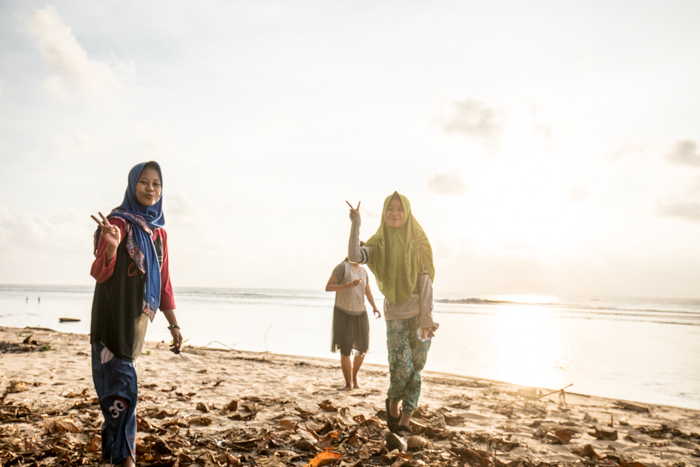 Just to the north of Ujung Bocur is a long strip of sandy beach that is very exposed to any swell. When there is 'no swell' or Ujung Bocur is 1-2 foot, then the beachies come alive with options. Earlier this year Elliot Paerata-Reid scored them at 6 foot plus and he rates them as the best beachies in Indo. While we were there the beaches had been nailed by the big Nias swell the month before. The fellas still had three really fun dawnies finding some rights for a change. ﻿About 30 minutes north of Ujung Bocur is The Peak. To be honest it's more of a novelty wave than anything. But it can provide a pretty damn good room with a view- it's just a very short stay. It turns into a fat roll in at anything over 5 foot, but at 4 foot there's a great little technical peak to sneak under. To the left of the Peak there is a bend in the reef that often provides a really good but shallow left. ﻿Krui is the main town, which is 40 minutes scooter ride north from Ujung Bocur. Rather disparaging slanged off as Cowards Corner. The left reef in town needs a lot of swell to get in. If Ujung Bocur is 6 foot, it'll probably be 2-3 foot. It's crowded with locals and beginners and because of this very hazardous for your health. ﻿40 minutes to an hour is about the range you'd want to do on a scooter. You wanna preserve your energy for tackling waves not dodging Indo lorrys. 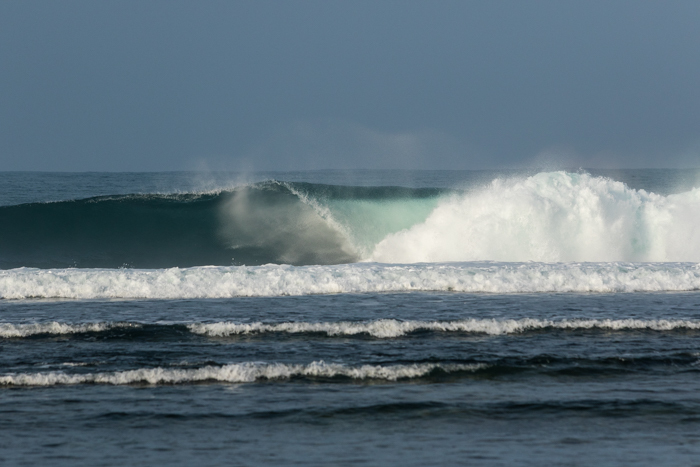 About 1.40 hours north of Ujung Bocur is Jimmy's Rights and lefts. We opted for the vans which cost us $15 dollars each for the day. Trade winds are cross-shore so it's a 4am start to be there for dawn. Jimmy's Right is fun at 3-4, and full on from there up. It's a barrel. The take off is steep but very doable. You backdoor the section that most likely will stay open giving you a clean exist before the wave bends onto near dry reef. In other words, don't think you're gonna get a turn in. Get in, get out. Meanwhile, across the bay... and not Jimmy's Left. ﻿A very heavy deep water reef. If the rights are 4-5 ft then the lefts are 6-8 ft. The swell comes out of deep water and slabs up onto the reef with Hawaiian/Tahitian thickness. ﻿Would I go back to Krui? There is no would in it. I am going back! A part from quality surf, South Sumatra was a wonderful adventure in Indonesian culture. It’s often described as what Bali was like in the 90’s. 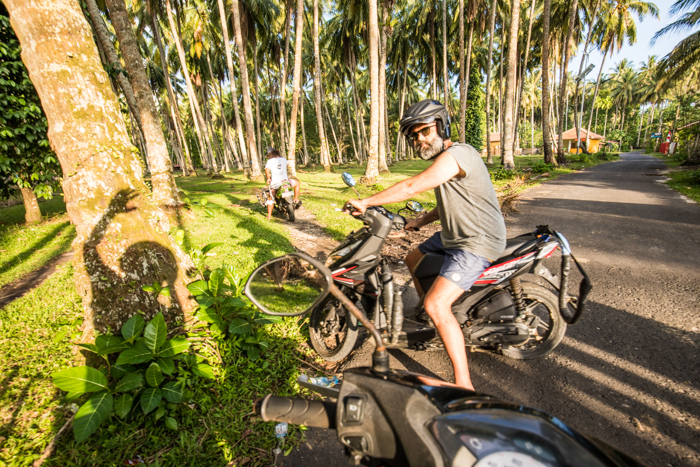 My first 6 week stay in Bali was in 1991, I would argue that South Sumatra is like what Bali was in the ‘80’s, and all the best possible ways. The locals are wonderfully friendly and helpful. The extra travel and that brutal 5 hour drive help keep Krui somewhat a mission. Here’s to it staying that way.